Brand new Dog bone. 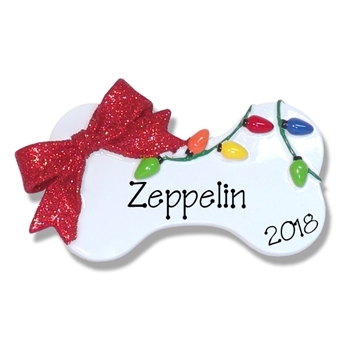 The perfect personalized Christmas Ornament for any size or any breed dog. May be easily personalized. Extremely cute with the large red bow covered in glitter for that extra sparkle. Made from Resin and hand painted, comes complete with hooks and satin ribbon for hanging.